Hoo, boy. We had a bit of a crisis the other day. DD (a Junior) was working on her science (or rather, not working on, but not bringing the problem to me). Finally, it comes out….she hasn’t had enough math for Apologia Physics. Chapter 3 goes all into vectors, and you need to know Trigonometry to do it….and Dr. Wile says plain as day….no Trig, don’t continue on. Rats. I was thinking the common progression….Biology, Chemistry, Physics. And now, not so much. My Sunbeam needs a third high school science credit, so to the internet I go! So what to choose? I decided to go practical. What does everyone have? Yup, a body. So Anatomy and Physiology sounds good. However, I know DD, and if she isn’t interested, or there are too many terms and such….it won’t going be fun getting her to do it….and she is not going into a science career, so we just need a credit. I looked at Apologia, but it is honors level (and NOT written by Dr. Wile….we love him!). Several other options were also honors orientated. Finally, I found this free Anatomy curriculum from Guest Hollow. Well, it’s free because it was a first edition, and she will refine it more her next go around. It’s a little weird to work with because it refers a lot to the Jr. Otter version (such as Week 12: Read books and do activities from Otter’s Science Curriculum Schedule), and that curriculum does have a cost to it. However you can click over to the resources for the jr curriculum and get a good idea of what to do (and if you want to do that, or substitute something else). I like her outline, as it includes fun resources, and things you may not think about including such as nutrition (anti-processed/fast food) and survival skills. I can see DS getting in on some of this. 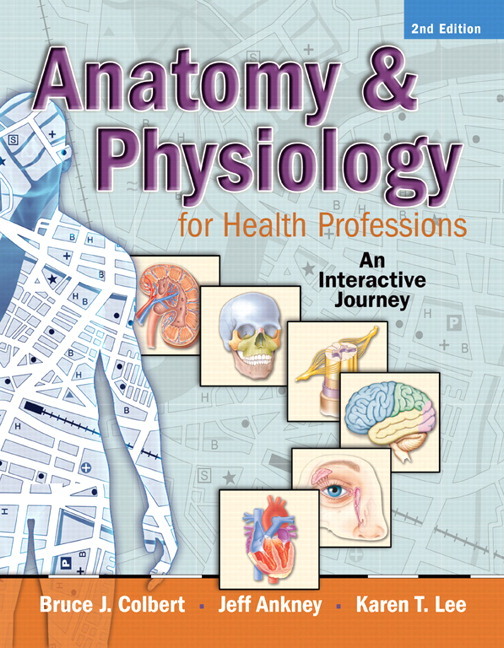 The spine book for this study is Anatomy & Physiology for Health Professions by Colbert, Ankeny, and Lee. It’s a college text, required for entry classes and certifications for things such as Medical Transcription. Reviews state that the book does have humor, is high interest, and not overzealous on vocabulary. Sounds perfect. Guest Hollow references the 2007 version, and technology has advanced such that reviews report that the DVD will not work well with modern software, and the website is no longer available. However, the curriculum plan is via chapter, so it shouldn’t be an issue to use a newer edition. I did some research into the current 3rd edition….it is brand new as of 2016. So I went for the budget answer, I found a NEW!! copy of the 2nd edition on Amazon….complete with the DVD and an access code to the website (which has games and quizzes and supplemental videos and pictures and such). If you want to use this book also, the access code isn’t a deal breaker, it can be purchased for $10. The best price was used on Ebay, but everyone was using stock photos and I didn’t want to take the chance on used books since we need curriculum for DD *cough* yesterday. I did get notification that it is in the mail (although not the workbook yet….different seller), and I want to look things over (and paste some fig leaves) before she gets into it, so we’ll start in October with that. Currently, I’m trying to get the ‘official’ lesson plans for this book, but my Pearson log in isn’t working….so we’ll see. If I just have to wing it and say ‘do chapter 1 by X date’, I’m good with that. In the meantime, I also found this great Human Development class by 7 Sisters. It’s an ebook (you get 2 PDF’s, one of the text, one of the tests and answer keys). You can level this class up as much as you like, or just do it simply. We are going for simple, as it looks like we will finish the Anatomy book before the year is over. The book is short of 100 pages, and contains information of every life stage from conception to death. I’m having her read this on her computer, and I printed out the in-text questions (as I find she can review better when the questions are right with her answers). She completed the first half of Chapter 1 yesterday, and she loves it and has learned a lot. The course is meant to last for 1 semester, but we will finish it in a couple of weeks….without all the supplemental things. I’ll roll it into a Health credit with a few other things we have done. I tell you this tale….on a dreary (yet hot) first morning of fall, to remind you to be flexible. We could have taken a break from Physics and learned about vectors and cosine and such on Khan Academy, then returned to Physics, but it would have been a long a bumpy road for information she will not need in her life (she is doing plenty of ‘learning to learn’ in other subjects). Our alternative choice is relevant to her life, yet fulfills college admissions requirements…..it’s the perfect opportunity. I’ll let you know how the Anatomy and Physiology book is going once we get into it.